New Hampshire Public Radio, with dedicated support from community members and businesses is proud to make classical music available in the Capital Region. Happy Listening! ClassicalNH is transmitted in the Concord area at WCNH 91.5 and WEVO 89.1 HD2, and is available everywhere via livestream and mobile app. Below is the 2018-19 schedule for the Metropolitan Opera radio broadcasts. All start times are 1:00 pm unless otherwise noted. Schedule is subject to change, per Met Opera. This summer, the Boston Symphony Orchestra will be broadcasting performances recorded live in previous years at Tanglewood and Boston Symphony Hall. Full schedule below. All performances are by the Boston Symphony Orchestra except where noted. This year, the WFMT Radio Network Opera Series features great performances by the Lyric Opera of Chicago, LA Opera, San Francisco Opera, OperaDelaware, Opera Southwest, and an especially exciting partnership with the BBC and the European Broadcasting Union to bring operas from The Royal Opera, Roundhouse, Scottish Opera, Opera North, and Glyndebourne. Live broadcasts of the 2017-18 Metropolitan Opera Radio Network season begin on Saturday, December 2, 2017 and run through Saturday, May 5, 2018. All broadcasts begin at 1 pm unless otherwise noted. Performances by the Boston Symphony Orchestra live from Tanglewood will air Sundays at 2:30 pm on WCNH 91.5 and WEVO 89.1 HD2 starting July 9th and running through August 27th. Note: Due to license restrictions, we are unable to stream these performances online. Sunday broadcasts run 2:30 - 5 pm. Sunday, July 17, 2:30 p.m.
Sunday, July 12, 2:30 p.m.
CNH Presents will air Thursdays at 8 p.m. and again Saturdays at 11 a.m..
Live Metropolitan Opera Saturday radio broadcasts can be heard from December through May on ClassicalNH; start times will vary (see schedule below). Hosted by celebrated WFMT host Candice Agree, tune in to the great works of composers like Giovanni Gabrieli, Johann Sebastian Bach, Francis Poulenc, Samuel Scheidt, and John Tavener among others. Q: How can I hear ClassicalNH? 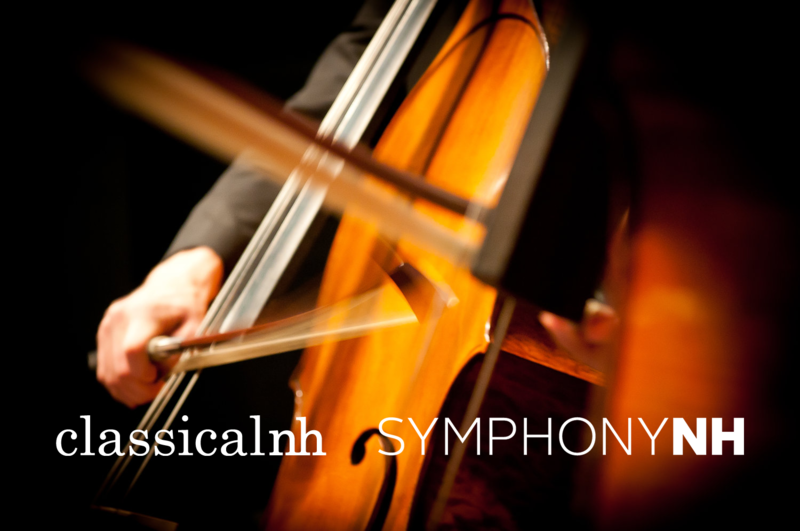 ClassicalNH can be heard on the radio in the Concord area at 91.5 FM and on HD radio at 89.1 HD-2.